Boot camps have become a massive worldwide trend. And among the many fitness centers in Silverlandia that offer this type of service, The Camp Transformation Center is a refreshing option. The center offers challenging yet stimulating tasks and the right motivation not only to achieve them but also generate a real transformation in people’s lives; both physical and mental. The Camp Transformation Center is a franchise that is ran by people who have gone through transformation themselves. Erick Salgado “The Ab Pro” is one of the business partners involved in The Camp and underwent his own body transformation when he decided not to let his slow metabolism be an excuse to be overweight. Same happened with owner Alejandra Font: after the birth of her second child, she decided to transform her body through clean eating and exercise. 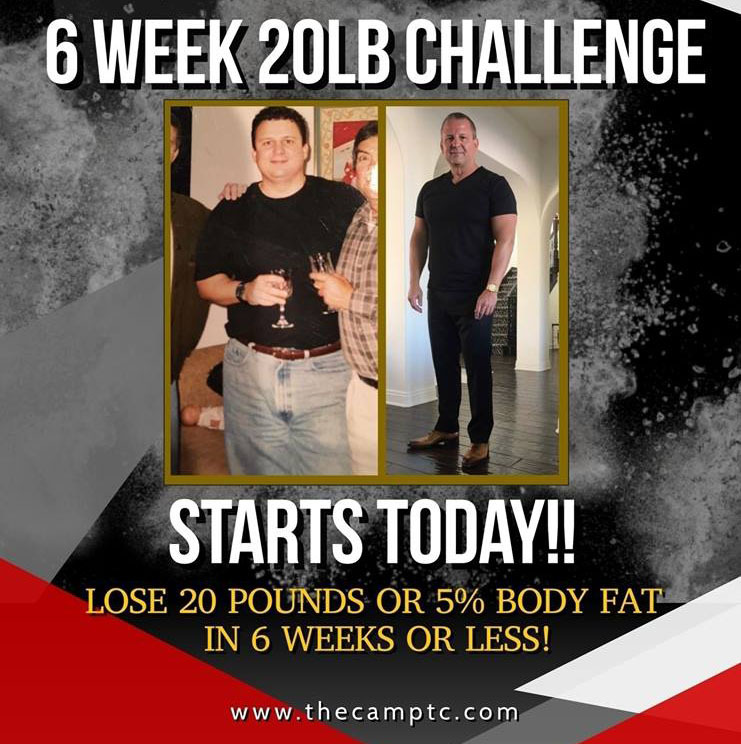 The Camp is also known for being “Home of the FREE 6 Week Weight Loss Challenge”, a very particular loss weight program that is designed for people all ages, no matter their busy schedule. The Camp’s owners claim that the program is “addictive”, as people “see results and compliments start rolling in, they are hooked”. Yelp reviews also highlight that “The Camp Staff has also been challengers and share their stories of their struggles and how they found success during a challenge”.